Félicie, an 11 year old orphan, has one passion: dancing. Her greatest dream is to become a ballet dancer of the Paris Opera Garnier. In order to achieve this dream, Felicie and her best friend Victor set up an incredible plan to escape from their orphanage to go to Paris! Paris, and its Eiffel Tower under construction, its brand new avenues designed by the Baron Hausmann, and the big scaffolding under which the Statue of Liberty is ready to be shipped to New York. As she is willing to do anything to make it, Félicie will have to take the identity of her rival Camille to integrate the dancing school, to undergo intensive training to master gracefulness and ballet technique, and to endure the stress of the Opera’s auditions. With her mentor Odette and Victor by her side, Félicie will have to fight like she never did, to surpass herself, and to learn from her mistakes. But nothing is too hard to achieve one’s dream. 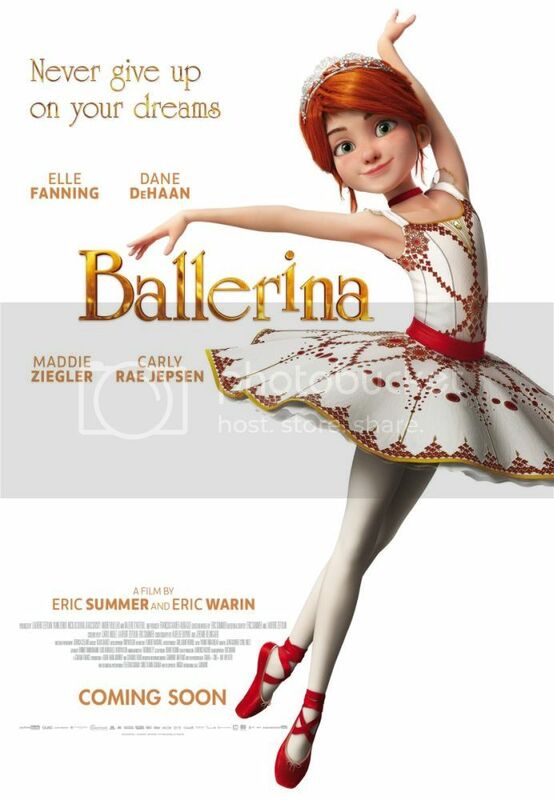 Starring Elle Fanning, Dane DeHaan, Maddie Ziegler and Carly Rae Jepsen, the movie Ballerina is coming to Canada this spring. This amazing animation children film is such a wonderful story about friendship, love, dreams and what you have to do to make them happen. The giveaway is open to Canadian residents who can attend the select screening & ends February 22, 2017. The movie is officially out March 3d, 2017. Would love this so much for my niece. Would love to take my niece to see this. She's been taking ballet classes for several years.